Beets are on my mind because I’ve been trying to eat the colors of the rainbow every day. The rich, purple-crimson color of beets is created by a pigment called betacyanin, which is a powerful cancer-fighting agent. But I was surprised to learn that beet greens are actually higher in nutritional value than the brightly-colored roots. The leaves are full of calcium, iron, magnesium, phosphorus, and vitamins A, B6, and C. So I’ve been adding some to my salad green mix instead of throwing them in the compost bin. On day 14 of this 365 day project, I ate my daily five (including broccoli for breakfast in a delicious quiche). Did you enjoy yours? p.s. 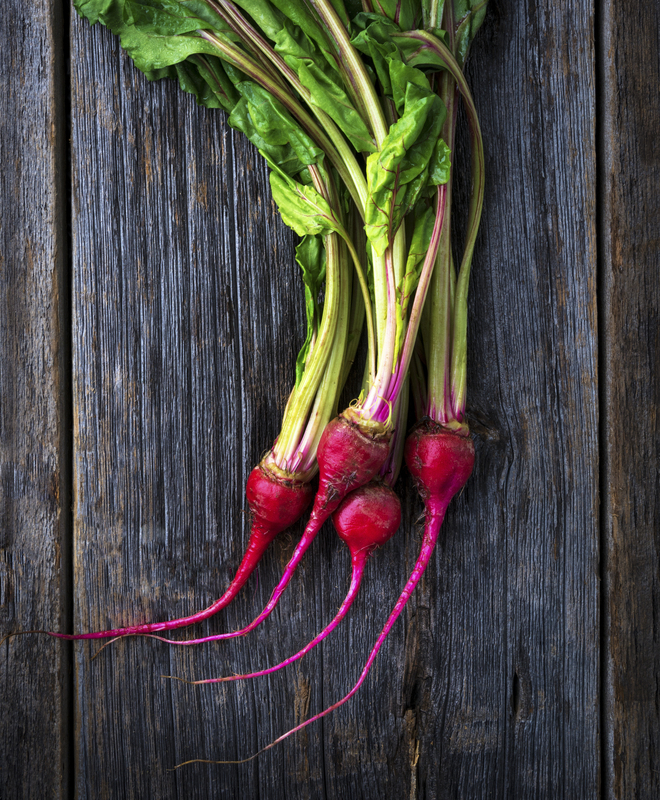 A little lemon juice can help remove pigment from beet-stained fingers.